Winona State has established itself as a nationally recognized digital life and learning campus, providing all students, faculty and select staff with fully configured and supported laptops and tablets. Currently over 8,000 laptops and 4,000 tablets are deployed, making WSU one of the largest university provided, dual-platform laptop programs in the nation. Information Technology Services (ITS) provides the technology-based foundation to support and empower the Winona State University (WSU) community to meet and exceed their educational and business needs. Information Technology Services (ITS) endeavors to position the University as a national leader in the innovative and effective use of technology to support the academic enterprise. The eWarrior Digital Life & learning Program began in the summer of 1997 with a pilot project integrating laptop computers into the educational curriculum. One hundred faculty members received laptop computers, and four departments (Chemistry, Marketing, Music and Nursing) required students to have a laptop computer. The pilot project was so successful that within two years the program grew tenfold, with many students and faculty participating voluntarily. By fall 2000, the eWarrior Digital Life and Learning (DLL) program was established, requiring all new full-time students to have a WSU laptop computer or provide their own that met specific standards and providing a full technical maintenance and support package. 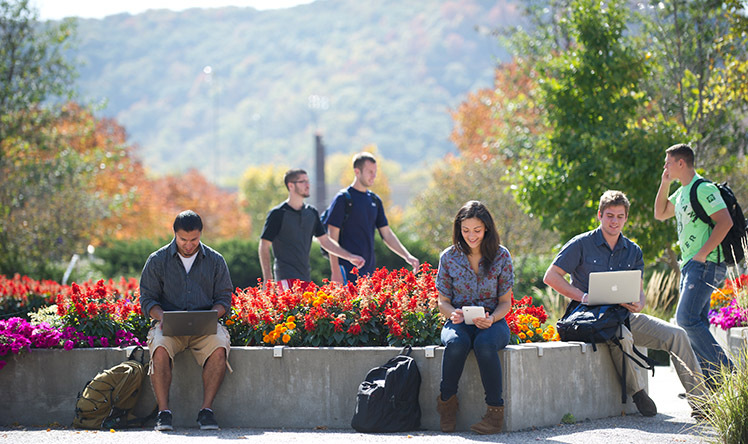 Every year since then IT has enhanced the eWarrior program with web-based course management, standardization of technology, eliminating the personally owned option for undergrads, distributing laptops in the summer so students could become familiar with them before classes started, personal and cloud storage space, providing hardware and software support, creating a student support and technicians team, expanding support to faculty and staff, offering a buyout program for graduating seniors, adding tablets, offering insurance, and expanding wireless capabilities to residence halls. At the same time, WSU was building a technology knowledge base wiki to house vast amounts of tech support information, hardware and software training materials, and professional development tools. With the expansion of the eWarrior DLL program and IT support, faculty use of technology continues to increase. Faculty are using course management tools, offering web-based classes, and increasing their use of technology in the classroom. With this collaboration between IT and faculty, WSU students develop skills in the daily use of technology, giving them a competitive advantage in the workforce. Adding value to the WSU technology experience continues to be a primary goal as we annually review and adjust the program. The eWarrior Digital Life and Learning program is self-sustaining with all fees collected for the program used entirely for the technology experience. Master Plan Fall 2017 - Summer 2020 (PDF) – The master plan provides a framework for integrating and prioritizing technology related issues at WSU and provides a guide for future technology implementations. Each year ITS leadership reviews the plan goals, notes those we’ve achieved and those we continue to work on.